The skin’s self-renewal process is called desquamation— a natural, gentle, self-exfoliation process. 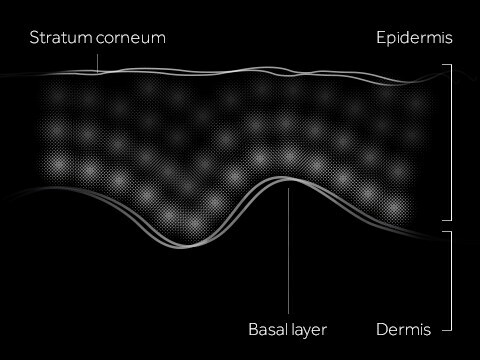 The skin is designed to shed layers in an orderly manner. This involves skin enzymes to removes a cellular structure called desmosomes which help the cells bind together. Skin sheds about one layer per day, and this happens naturally, by design. But sometimes, we unknowingly make things difficult for our own skin. Our bad habits might in fact be contributing to our skin concerns like acne, dark spots and wrinkles. Your skin fights all the foreign bodies clogging up your pores while you sleep. So leaving your makeup on overnight can worsen acne and make your skin dull and dry. This can also accelerate the signs of aging in the skin. So always cleanse your skin before you sleep. When you use beauty products way past their sell-by date, you might be harming your skin instead of improving it. Expired products might have become contaminated with bacteria or mold. Additionally, when products expire, the active ingredients reduce their efficacy. Body soap is not formulated for facial skin care so it can be too harsh for your face. This makes your skin more prone to drying out and, in the long-term, more prone to premature aging. Facial cleansers are gentler on the skin and have the added benefit of providing solutions with specific ingredients for your skin concern. Read more about why you should cleanse, or find out what you can do to help boost your skin’s natural processes.